The AlkaFlow 2 UC offers the same level of filtration and mineralization as the countertop AlkaFlow 2, but the filter housing is hidden under the counter. Water is dispensed through an elegant chrome faucet. 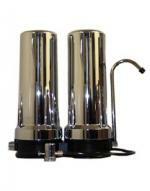 The AlkaFlow 2 is a non-electric water alkalizer that offers an excellent quality/price ratio. 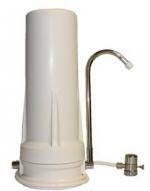 The 0.5 microns coal filter removes chlorine, lead, VOCs and microorganisms, while the mineralising cartridge revitalises the water, making it alcaline and antioxydant. The AlkaFlow is a non-electric water alkalizer that hooks up to your kitchen faucet in minutes. This product offers well-rounded filtration and mineralization to provide consumers great tasting alkaline water at an affordable price. The Vitev REMIN filter is for people who already have a reverse osmosis system and who want to remineralize the RO water to produce antioxidant rich alkaline water with a pH of 9. The aquaPRO filtration system uses reverse osmosis to take out all the contaminants and toxins present in drinking water, and then energizes the water with the aquaPRO remineralization cartridge to provide antioxidant rich alkaline water with a pH of 9.5. 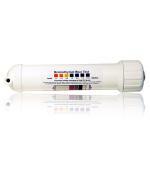 The aquaPRO offers an excellent combination of superior filtration and mineral-based ionization.